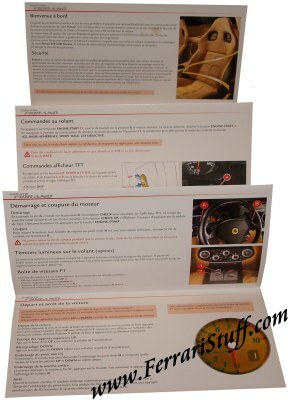 Ferrari factory original 2006 Ferrari 599 GTB Fast Start Guide French. This Fold-Out Brochure, size 21 x 11 cm folds out to six panes which contain the most vital information to get your 599 GTB quickly up & running. It was issued for the Canadian market. 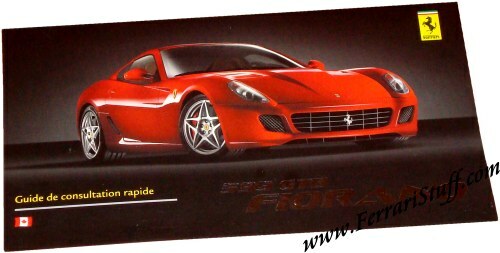 Ferrari 599 GTB Guide de consultation rapide en Francais. Ferrari Print Number 2448/06, First Edition, October 2006.